There are a number of skills that you can learn to launch your professional career. However, if you ask someone about what he wants to do or become in life then he will give you a rather typical answer that revolves around a career in medicine, engineering or business. There are very few people who will think about anything else as a career and there are even fewer people who will consider becoming an acupuncturist. Becoming an acupuncturist in the United States is not something that you can do in a couple of months. Instead, if you wish to become a licensed acupuncturist in the US then you must earn a four year master’s degree, you will also have to pass the national board exams. Chinese medicine is growing as a field at a very fast pace and there are more opportunities that are being created everyday. Here you will learn about the main things that you need to know about Master’s Degree in Acupuncture. The students will also have the chance to work in actual clinical settings where they will get the opportunity to get hands-on experience about everything that they have learned in class. There is no point in learning the theory in class if you are not doing anything practical and that is why there is a lot of focus on this aspect. There are many people who believe that there is much that you can do with an acupuncture degree, however, this is not very true because the field of Chinese medicine is growing at a very fast pace. If you get the acupuncture degree then you can do a lot of things to launch your professional career forward. 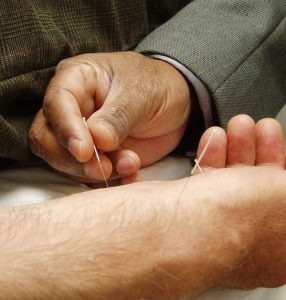 For most people, the best option is to open their own acupuncture clinic. They want to become successful entrepreneurs and they feel that opening their own practice is a good start. But what if you are someone who likes a normal job? What to do then? Well, you can become an acupuncturist at a hospital. Although there are only a few hospitals who have invested in acupuncture others are joining the race very fast. As acupuncture grows as a field many hospitals are hiring acupuncturist, may be you could be one of them. You can also choose to work at an already established acupuncture practice and gain experience from there. These practices normally pay nicely and you also don’t need to worry about any kinds of overhead costs. There are many such establishments throughout the country, therefore finding a job might be simpler than you think. 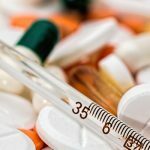 These were some things that you should know about the Master’s degree in acupuncture and its benefits. 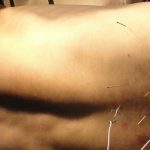 Contrary to popular belief, acupuncture is no longer a primitive art and field, instead, it is being given a lot of recognition in the world. 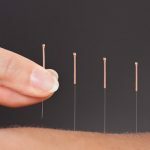 Professional acupuncturists are high in demand and if you have earned a four year degree then it might be possible for you to get a decent job. 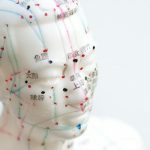 If you are interested in acupuncture then you should get the degree as there are a lot of benefits that you can avail.